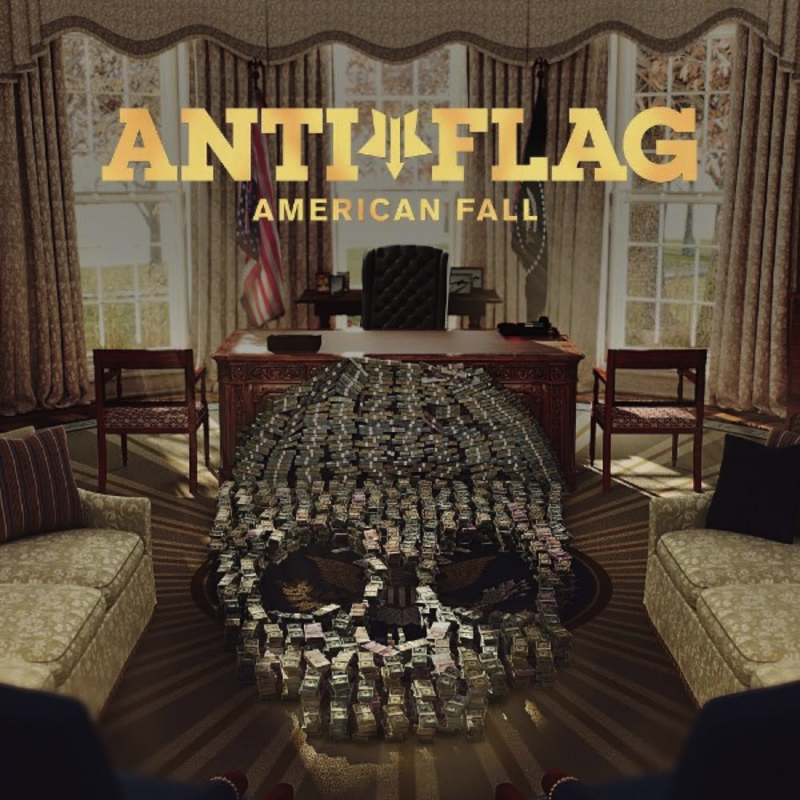 Anti-Flag‘s new studio album, American Fall, follows 2015’s well-received American Spring. With Good Charlotte’s Benji Madden on board as co-producer, the band has intensified their signature anthemic style with bigger melodies, tighter song craft, and thicker guitars. American Fall is bold – both musically and politically – and Anti-Flag’s time is now. With Anti-Flag, a new album is always a call to arms and a call to action that reminds listeners to question everyone and everything, including the current administration. American Fall arrives on November 3 via Spinefarm Records and as expected, it addresses issues facing America today like only Anti-Flag can. “The politics of distraction influences people to lose focus on what makes a positive impact on their lives and the world,” the band said about the new album. “It encourages people to make choices that are not in their best interest and reduces society’s ability to make progressive change.